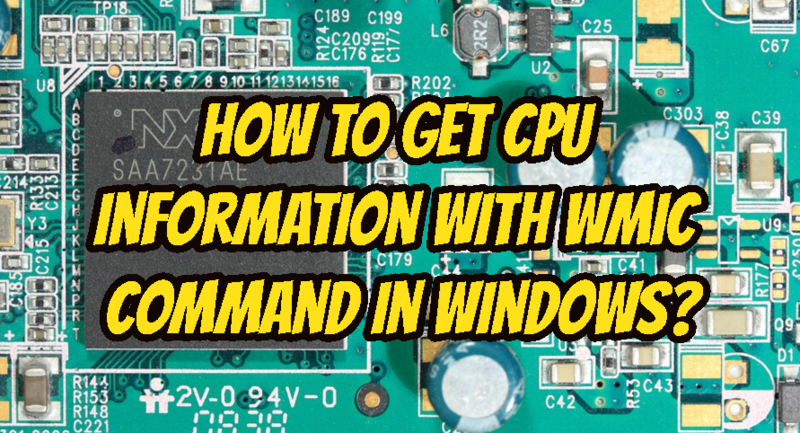 How To Get CPU Information With Wmic Command In Windows? Wmic is a set of tools used to get and set operating system related configuration and information. In this tutorial we will look how to get information about CPU. Help Help about wmic cpu command can be listed like below.